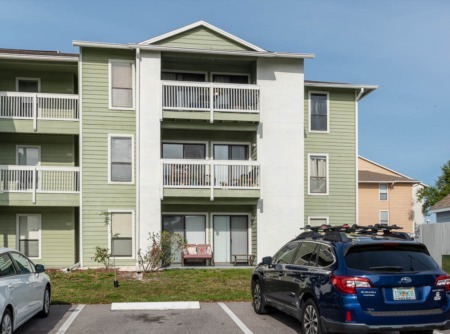 Oaks at Countryside is a desirable Palm Harbor condo community just off of Curlew Road and convenient to US Highway 19. This wonderful community boasts beautiful 2 and 3 bedroom condominium homes for sale. They feature such great amenities as hardwood flooring, eat-in kitchens with fine European cabinetry, gas fireplaces in the Great Room, soaring ceilings that give the home a feel of peaceful relaxation, and spacious master suites. Each home has a private enclosed garage. The windows open out to beautiful conservation views with scenic nature, not the neighbor's car. Homes for sale here have 1200 to 1800 square feet of living space. They are very clean and well kept and make this one of Palm Harbor's most sought after neighborhoods. The community offers a heated pool, spa, and tennis courts. There is also a quiet creeks that meanders peacefully through the community. 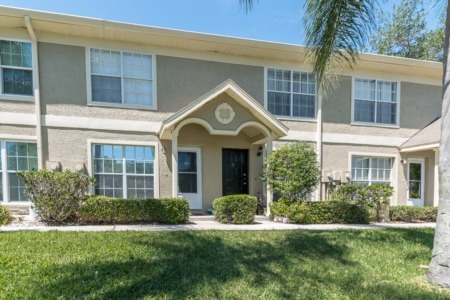 Moderately priced priced, this is a great value in Palm Harbor, FL. Local beaches and shopping are just minutes away. You'll be happy to call Oaks at Countryside your home! Selling your Condo in Oaks at Countryside? Are you selling your Condo in Oaks at Countryside? Call a Lipply Real Estate agent today to help you work through the process and find you the best possible sale. Don't miss out! Contact us today by phone or enter your information in the form below.